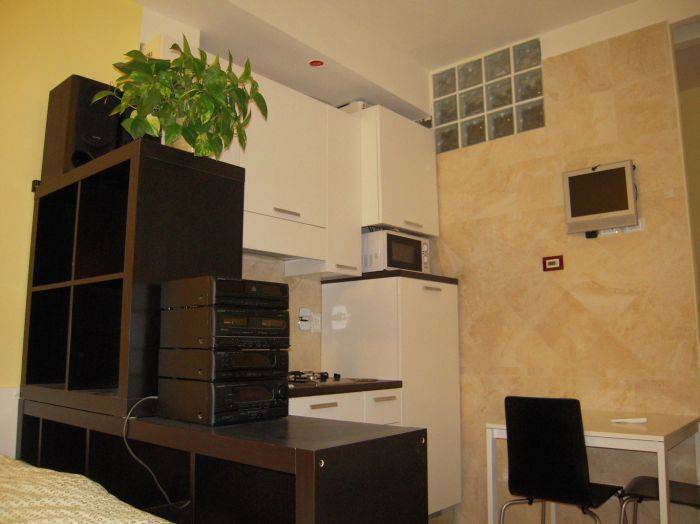 For your stay in Bologna there is Bozz. Whether you are visiting for one day, a week or even longer you will have at your full disposal a wonderful self catering apartments with all the comforts that only a real home can provide. 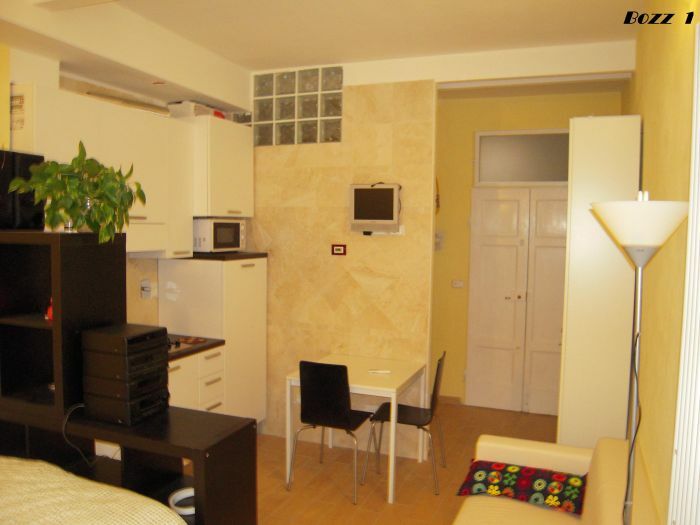 Bozz has two inviting and comfortable apartments for tourists (“Bozz 1” & “Bozz 2”) located in the old town of Bologna. 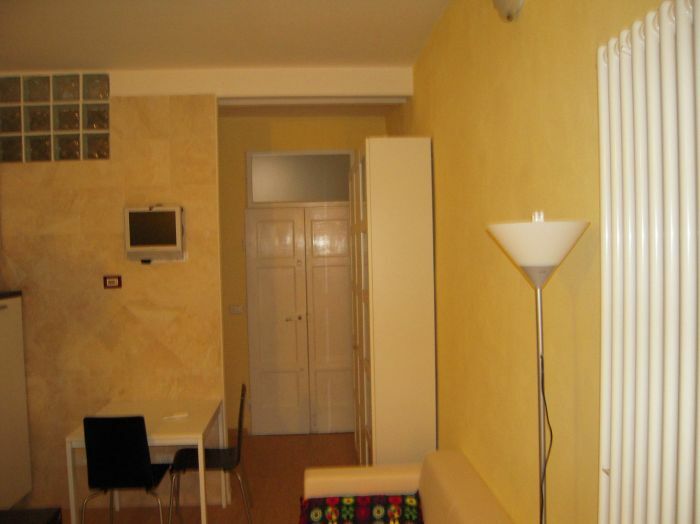 The fully furnished apartments (“Bozz 1” & “Bozz 2”) have one living room, a small kitchen and a bathroom. One can find all the amenities it takes for a pleasant and relaxing stay, which coupled with a modest competitive price is perfect for your stay in Bologna. We are new here and we want to let us know …….. combining low prices and high quality. Our sponsor are you! We guarantee you that you will find the apartment spotless, and in perfect order. The price include also internet wi-fi and air condition. 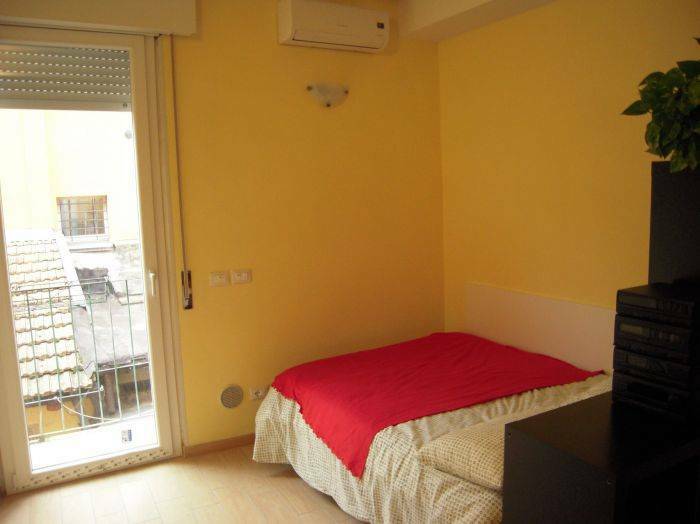 The apartments are located in the heart of the historical center of Bologna, in the very noiseless via Palestro, close to the famous "College of Spain", a short way on foot to Piazza Maggiore (the main square) and to the two towers. At 20 m from the flat there is a guarded garage. The area is well served by public transport (the bus stop is just 100 m away in the adjacent via Saragozza and in Via d'Azeglio). Nearby there are: several typical restaurants where you can taste local food and nouvelle cousine, supermarkets, post office, several banks, schools (the property is located near two nurseries run by nuns), the Palace of Justice and in 5 minutes you can reach the green lung of the town - the Margherita gardens (where you can practice every kind of sport or only walks in complete relaxation). Via Palestro is inserted in the area of historical center at restricted traffic (so-called ZTL). Bozz 1: Small and charming one-roomed flat located on the second floor (no lift) of a old building, built in the ancient art nouveau of Bologna. 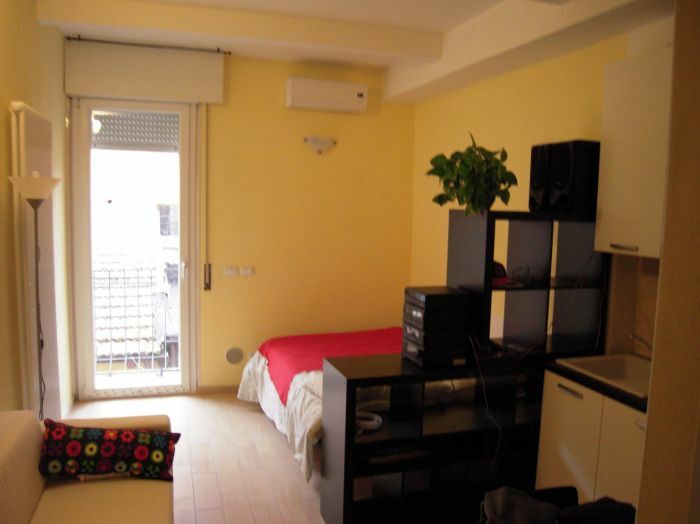 The flat was fully renovated in 2011 is the ideal for single or a couple. Very bright and noiseless, overlooks inside the building and has a balcony with an annexed terrace that allows you to be in the open air enjoying your home simultaneously. It is equipped with a living room with annexed double bed and cooking area. The windowed bathroom is equipped with every comfort (toilet, bidet and shower). The whole flat is refinely furnished with independent central heating and new, aluminum and double glazed casing (ideal for protecting the internal temperatures of the environments of your liking). 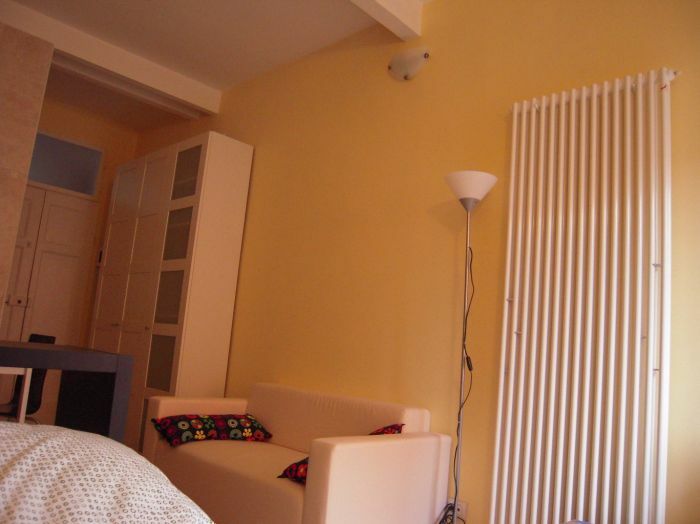 Bozz 2: Small and charming two-roomed flat located on the second floor (no lift) of a old building. The flat was fully renovated in may 2011 with fine finishes. It is ideal for single person or a couple. Very bright and noiseless, overlooks the courtyard. It is equipped with a an entrance onto kitchen, bedroom with annexed the double bed, a comfortable sofa and a sofa that changes into a single bed; and finally a magnificent bathroom that is equipped with every comfort (toilet, bidet and shower). The whole flat is refinedly furnished with independent central heating and new, aluminium and double glazed casing (ideal for protecting the internal temperatures of the environments of your liking). at 50meters from the apartments there is a bus stop... to go: railways station, main square, etc..